Bill Young earned his civil engineering degree from Stanford University in 1963. He is now a retired general engineering contractor living in St. Helena, CA, summering in Mt. Shasta, where he has his layout. 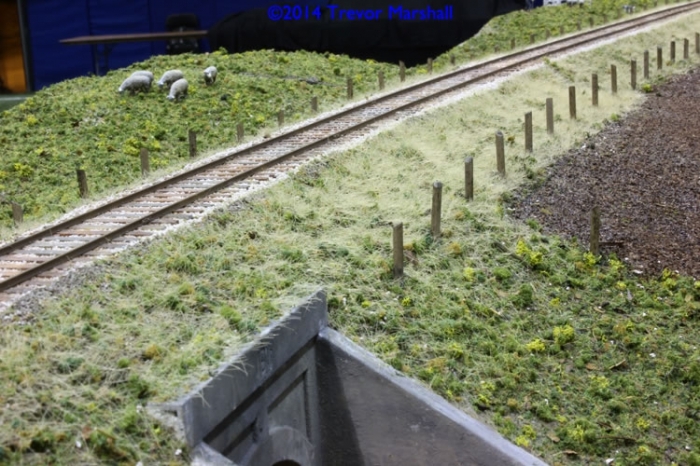 In the winter he builds equipment for his layout; in summer he installs it. It’s not really a surprise, given his background, that Bill’s first love is bridges. 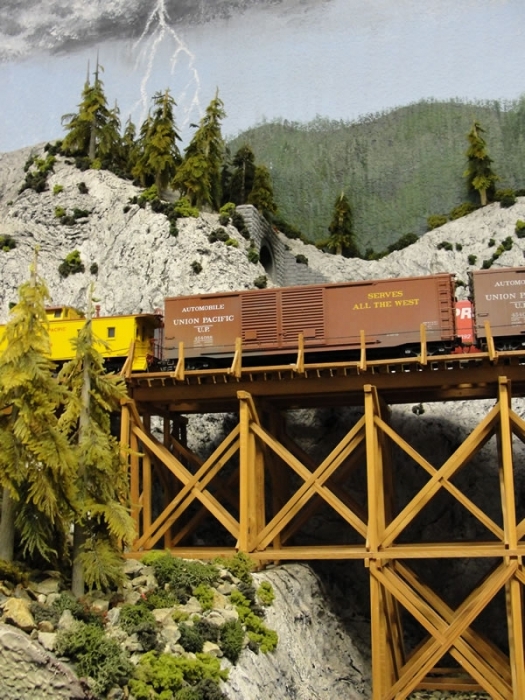 The layout is designed as a showcase for Bill’s bridges. 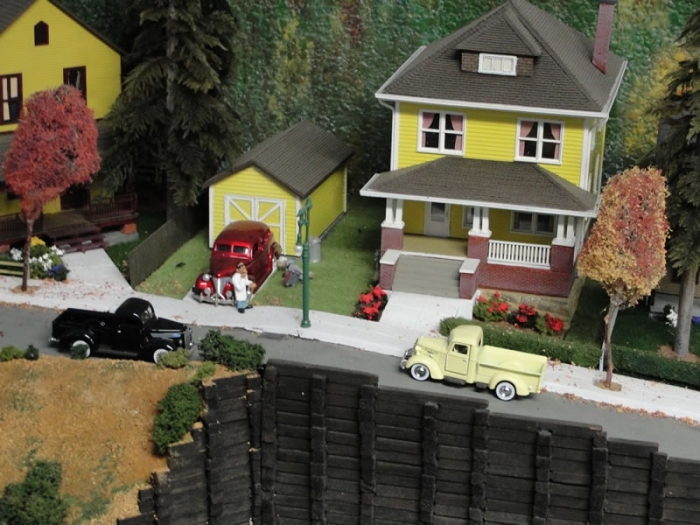 Bill’s Espee is an around-the-wall layout in a dedicated 10 x 24 room, essentially the size of a one-car garage. 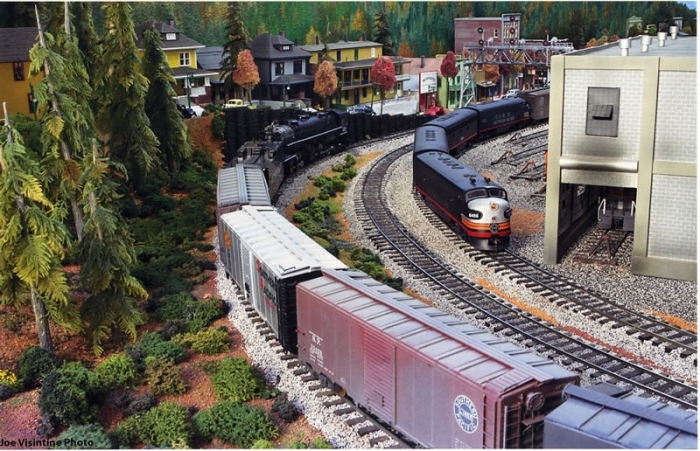 The layout consists of one single-track loop and one double-track loop that both converge on the town of Dunsmuir CA. There are ten totally scratchbuilt bridges ranging from wood trestles to steel trusses to a three-track motorized bascule bridge that incorporates electronic sound effects recorded from a real motorized bridge. By “totally scratchbuilt,” I mean that Bill fabricated every individual structural member, e.g., laced girders and columns, piece by piece from sheet and strip stock. This layout is actually Bill’s second. He met fellow Californian Lee Johnson between layouts. 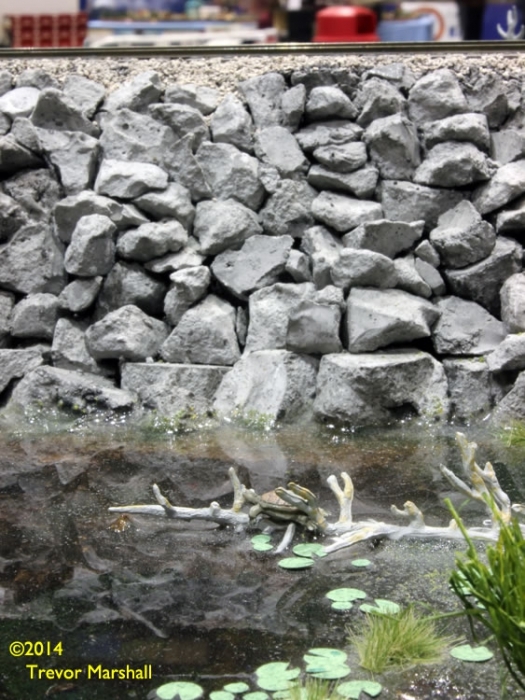 Lee suggested that one of the loops in the new layout should be separate from the other two for better scenic effect. 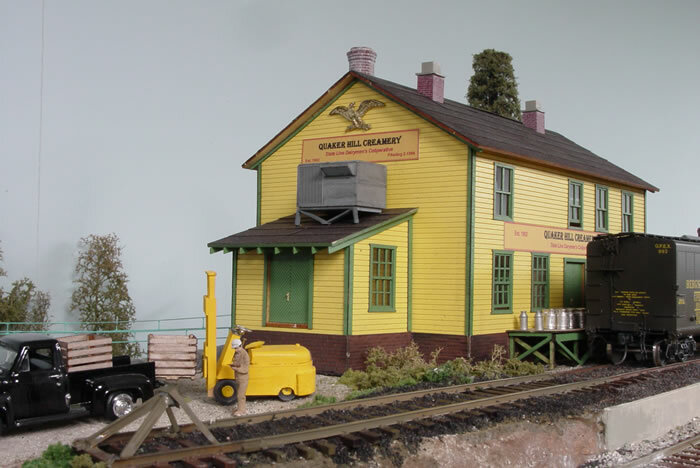 Lee also helped design the Dunsmuir yard that ties everything together and makes the layout functional. Bill does his layout construction projects in the winter half of the year, in St. Helena. 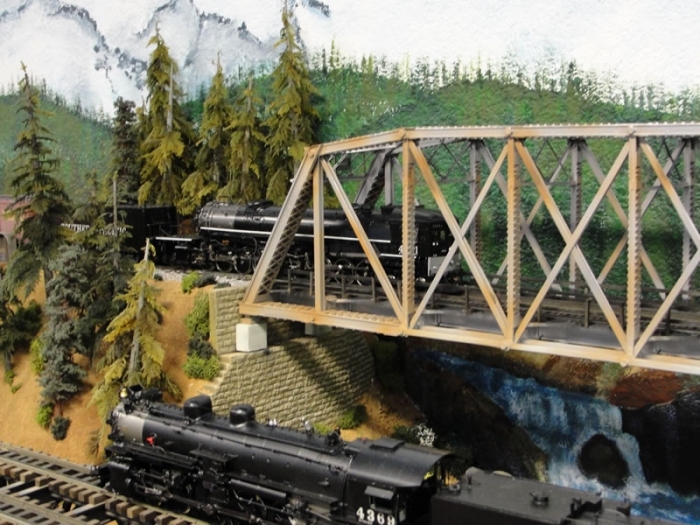 When he and his wife move up to Shasta for the summer season, he takes his newly completed projects with him to install on the layout. 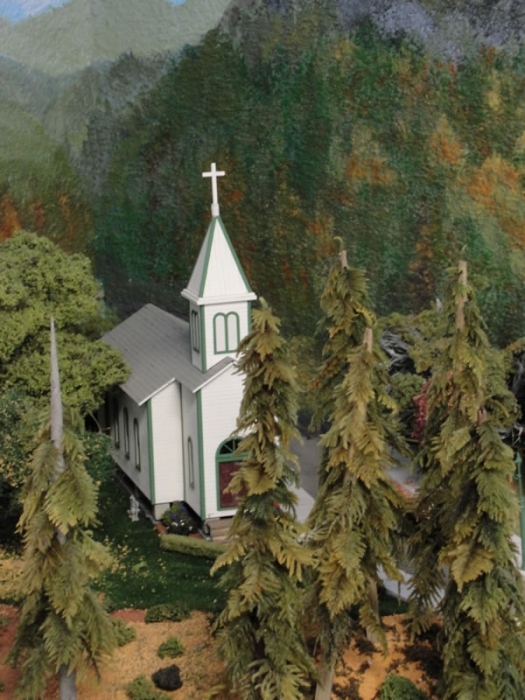 The entire town of Dunsmuir on Bill’s layout, consisting of two 1’x 6′ sections and one 1’x 3′ section, were built in the winter and installed end to end on the layout. Dunsmuir Yard and all the bridges were likewise built in the winter season in St. Helena, then schlepped north and installed on the layout. Bill’s friend Diana Woods, a professional artist, painted the backdrops. Eric Tiegel did all the electrical work – last!! Layout power is NCE DCC. And “every stinking foot [of track] is hand-laid” by Bill. 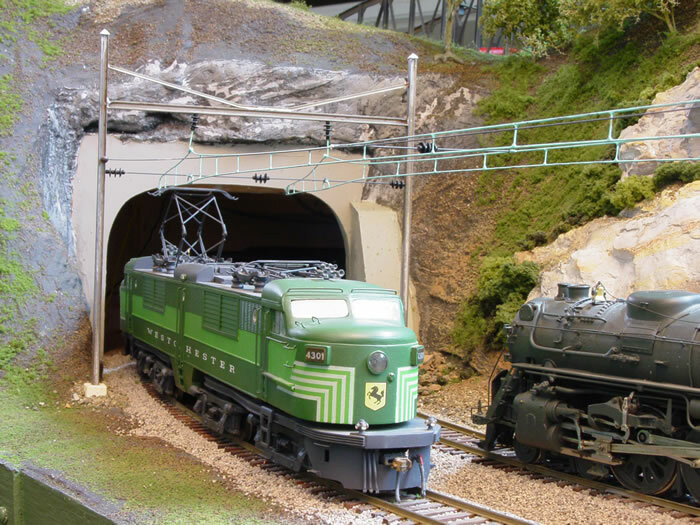 Bill’s work has been published many times, including the NASG Dispatch, S Gaugian, Model Railroader, and two BASS (Bay Area S Scalers) calendars. 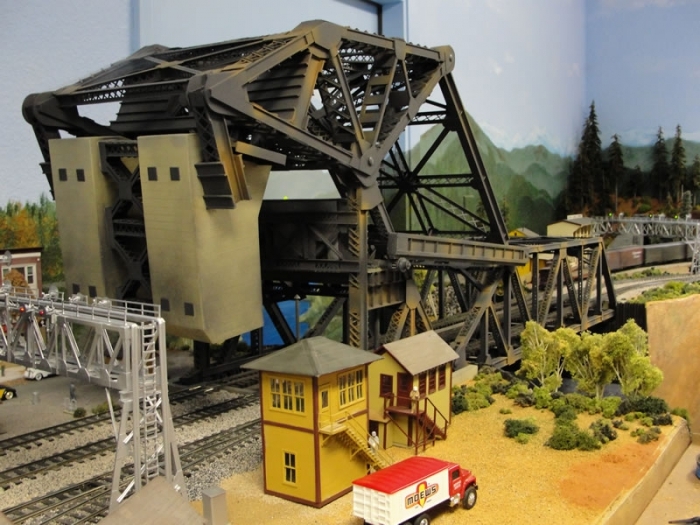 His three-track bascule bridge won First Place at Sacramento’s 2011 NASG National Convention. 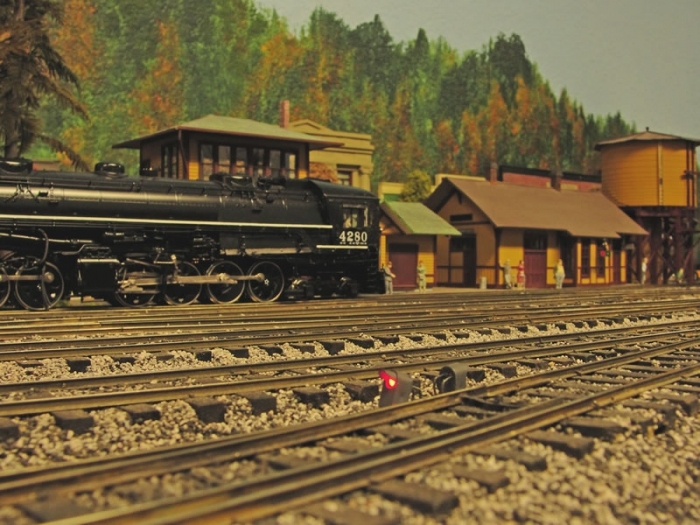 First published in the July 2012 Railroad Model Craftsman. The S Scale SIG would like to thank Carstens Publishing Co. for generously allowing this reprint and supporting the S Scale community. 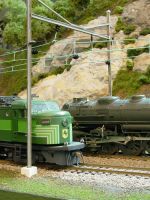 Heavy Electrics and passenger equipment can be a problem in S, my chosen scale. 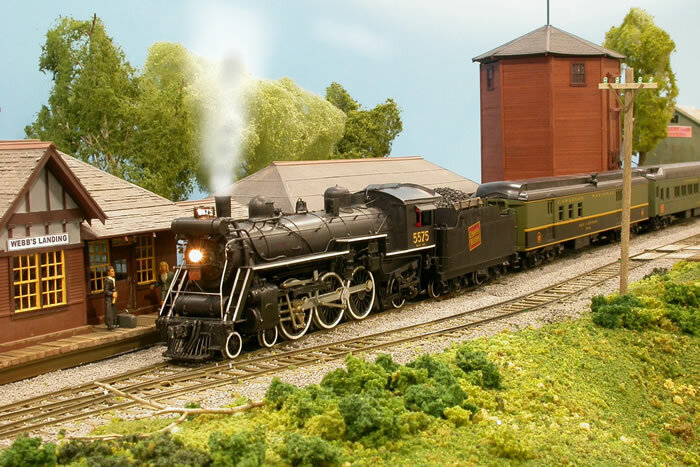 The only commercial electric locomotives are the ready-to run American Models PRR GG1 and a New Zealand 3.5-foot gauge boxcab kit. Therefore, my electrics are a rather eclectic combination of kit-bashed and scratch-built. Most of my electric loco bodies were bashed from components like American Flyer caboose bodies and resectioned AF Alco PA shells. Some sit atop modified diesel chassis; other chassis are scratch-built. 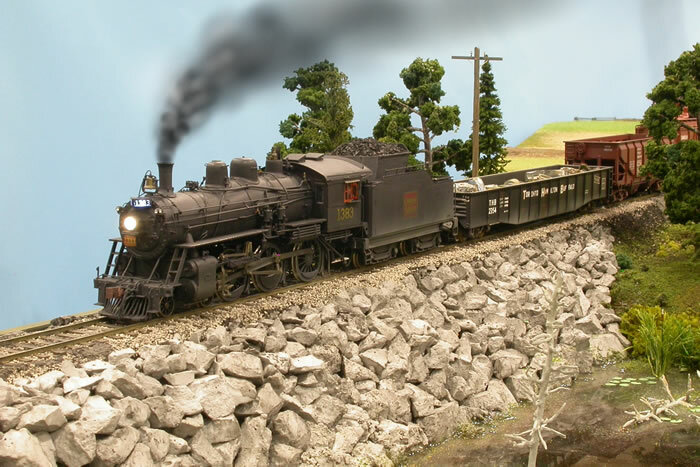 Most steamers are brass imports, but a few have been scratch-built of brass and detailed with S scale brass castings. A few more are “interesting” combinations of AF, Rex, imported brass, and scratch-built components. For our older readers, think Bill Schopp, frequent author of brass-bashed locos in 1950-60 era RMCs. 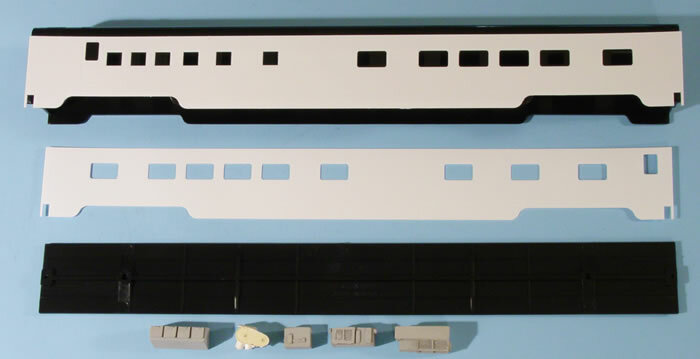 Ready-to-run S scale passenger equipment is currently limited to American Models 75-foot heavyweights and Budd Empire State Express shorties. 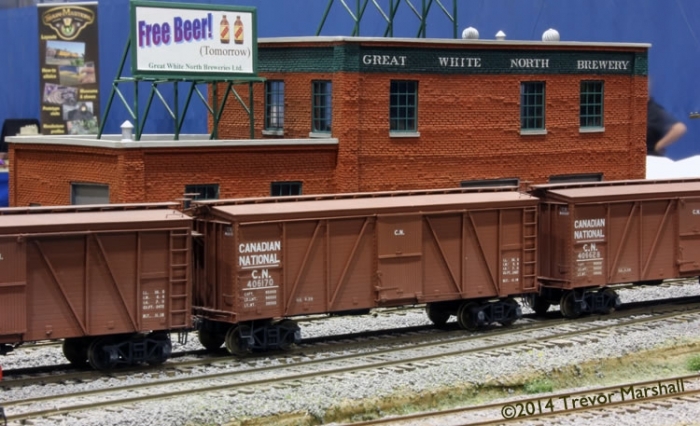 The Supply Car offers a large variety of full-length streamlined Pullman and Budd kits. There have never been any MU cars offered. But I have been fortunate over the decades to acquire equipment as it was available. 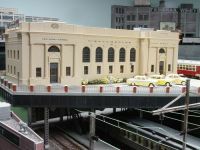 Mine includes 1950-era Super Scale heavyweights, a Dayton Models NYC gas-electric from the same era, plastic heavyweight and streamlined Pullmans from American Models, brass heavyweights from SouthWind Models, and a fleet of MU cars bashed from American Models and American Flyer passenger cars with Black Beetle power trucks. 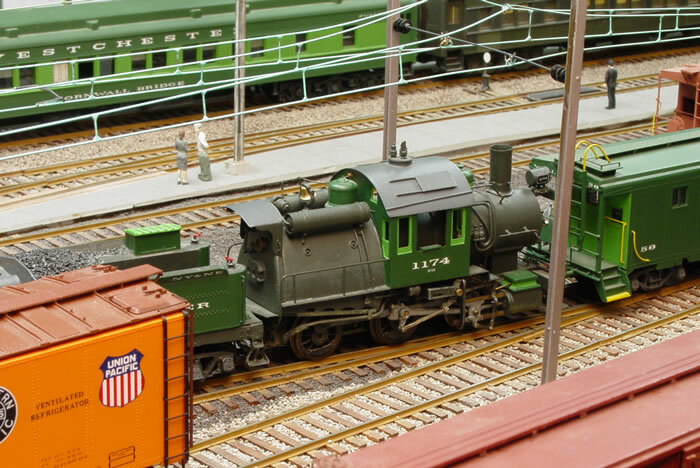 My freight-car fleet’s lineage is similarly varied. I have a 12-foot by 46-foot space for the layout with two closet doors at one end and a wall with doorway separating the space roughly in half. There were no obstructions (wash tubs, furnaces, etc.). I didn’t want the complication of double-decking, so I was willing to sacrifice some mainline route-miles. I knew I wanted a stub-end terminal, a wye for reversing specific equipment, and no reversing loops per se. I also wanted a single hidden staging yard that could ingest and disgorge trains, and I wanted the visible portion of the layout to support interesting point-to-point operation. Alas, I had to give up the idea of a single staging yard with multiple entrances and exits because the resulting hidden turnouts and crossings were just too complex. Instead, I settled for two separate four-track staging yards. Also, given the size of my space and my desire for broad curves, I had to give up any notion of even an abbreviated engine terminal, so I opted to model only minimal servicing facilities—water column, ash pit, sand tower, and two ready tracks. I dreamed up a layout schematic that involved two primary routes – a single-track line that crosses a double-track line. These two lines would join, share common trackage and a station through one town, then diverge, creating an “X”-shaped configuration overall. The double-track line would have catenary and the single-track line would not. Then I put my mind to adapting a prototype concept that fit my favorite area of America – Upstate New York and western New England. I had always been fascinated by what might have been, had the New York, Westchester & Boston Railway, a heavy-electric road, actually met its goal of connecting New York City and Boston. The NYW&B, what there was of it when the New Haven bought it in the 1920s, was built to incredibly up-to-date standards for really heavy traffic demand. It’s anybody’s guess what it could have evolved into, but I decided to give it an alternate, successful history. 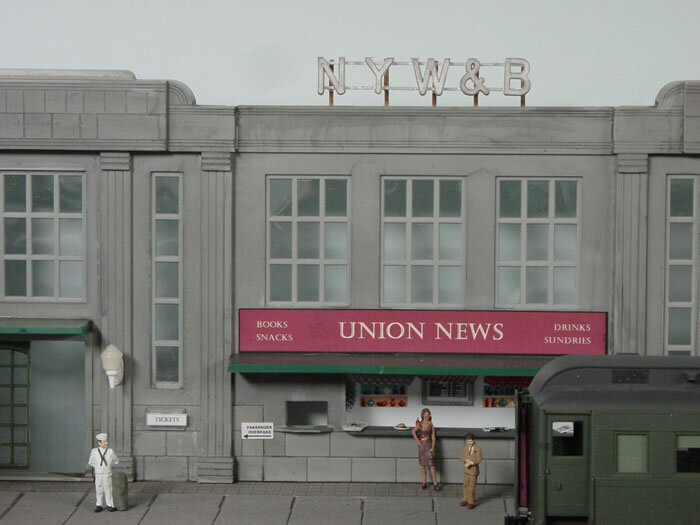 I chose to model the NYW&B circa 1955. The real NYW&B was mostly dismantled by the New Haven; the remainder was incorporated into various New Haven routes. In my alternate history, the NYW&B was never bought out, but thrived. As a result, the New Haven is confined to the Long Island Sound and Atlantic coast, and the New York Central’s Boston & Albany division trackage terminates eastbound at Springfield, Massachusetts. The NYW&B has three divisions: 1.) The double-track electrified New Haven & Northern division from New Haven, Connecticut via Troy, New York, to Montreal; 2.) The New York & North Eastern division from New York City to Boston via Springfield; 3.) The Westchester Connecting Line from the Brooklyn waterfront to the NY&NE in Westchester County. 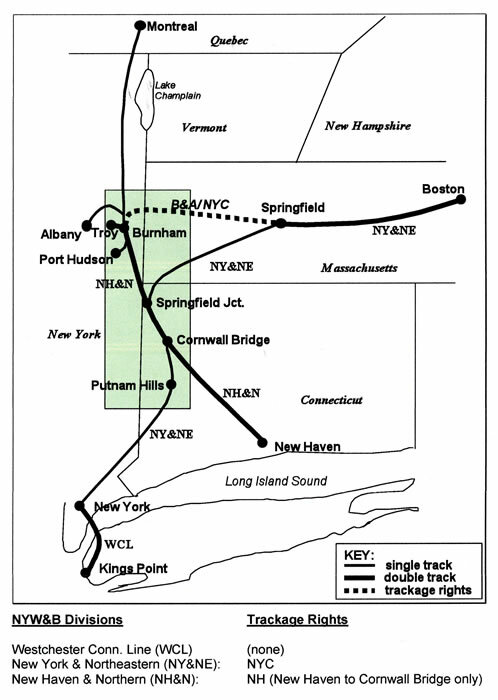 The New York Central has trackage rights over the NYW&B between Springfield and Boston, as does the New Haven from New Haven to Cornwall Bridge, Connecticut, where the NYW&B’s NH&N and NY&NE divisions cross each other. In addition, the NYW&B has trackage rights on the NYC from Troy to Springfield. New Haven and CNR passenger cars provide through service on New Haven-Troy-Montreal trains. This concept gives me a rationale to host electric, steam, and diesel power. The NYW&B runs anthracite steam (camelbacks only) and electrics. 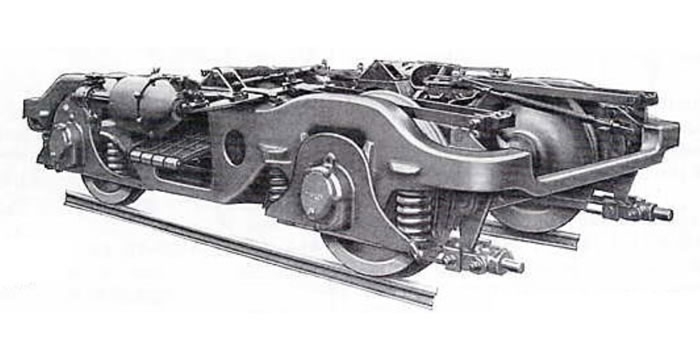 The single-tracked NY&NE runs steam only, and the double-tracked NH&N nominally runs electric only. 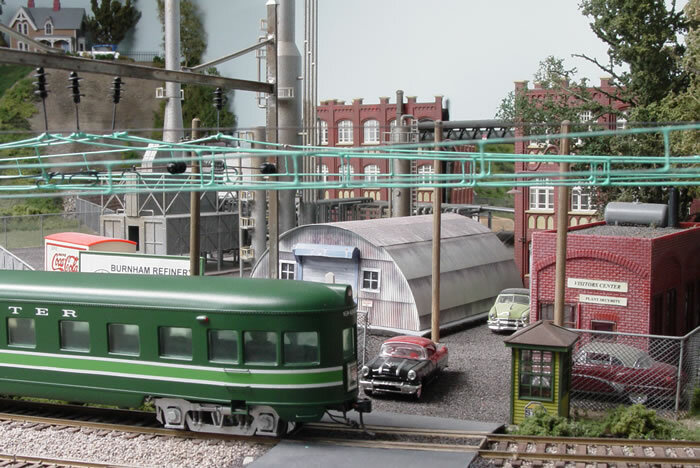 Exceptions are a lone boxcab diesel at the Port Hudson float yard, and the way freight that’s headed by a steam loco because it switches some industries beyond the wires. Additionally, the NYC from Troy to Springfield is electrified in order to power NYW&B trains between Troy and Boston. 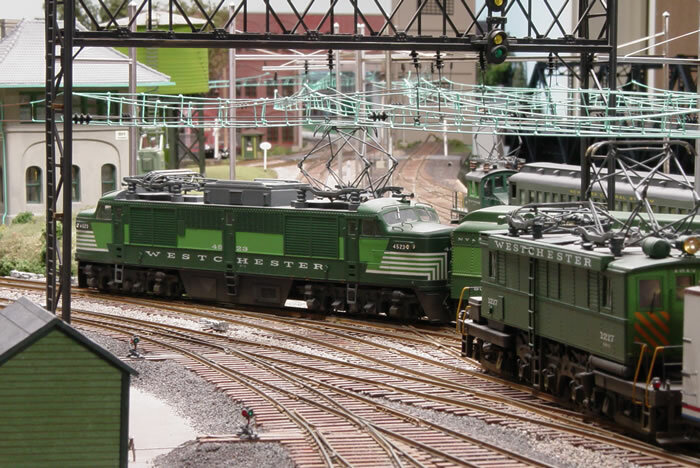 The NYC and New Haven run whatever they want – NYC steam and diesels, and New Haven diesels and electrics. 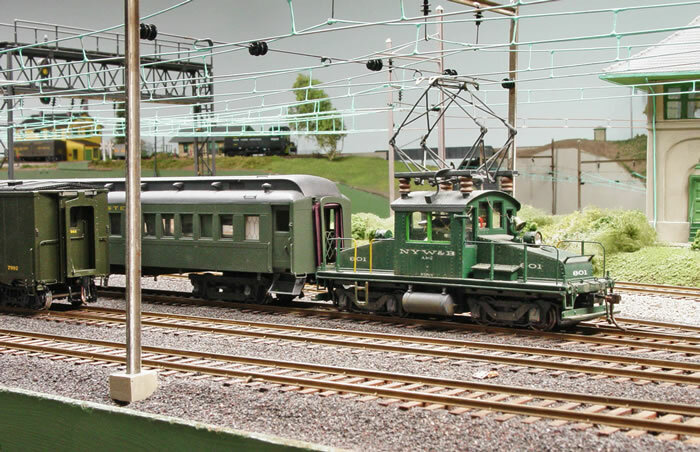 I model the “X” configuration centered on Cornwall Bridge (CB), which hosts a through passenger station, a stub-end commuter terminal for MU cars, and the line’s motor shop for electric loco repairs. Common trackage of the NH&N and NY&NE divisions runs from South Cornwall Junction (SC) to Springfield Junction (SJ). The road’s home office is located at SJ, where the lines to Montreal and Springfield diverge. Beyond these points each division is separate, and each terminates in its own staging yard. 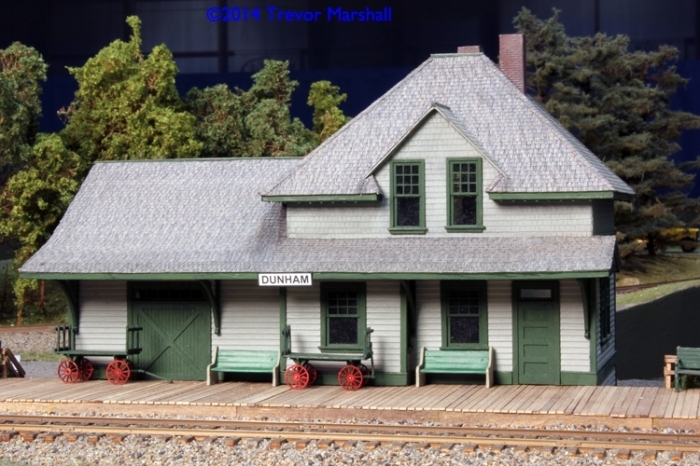 Troy Union Station serves passenger trains of the NYC, NH, CNR, and of course the NYW&B. There is also a freight yard at Troy as well as the minimal loco facilities mentioned before. A branch line to Port Hudson serves a float yard and barge operation on the Hudson River. There’s also a branch line from Cornwall Bridge to South Cornwall that serves several industries including a bulk fuel depot and a whey-processing plant. 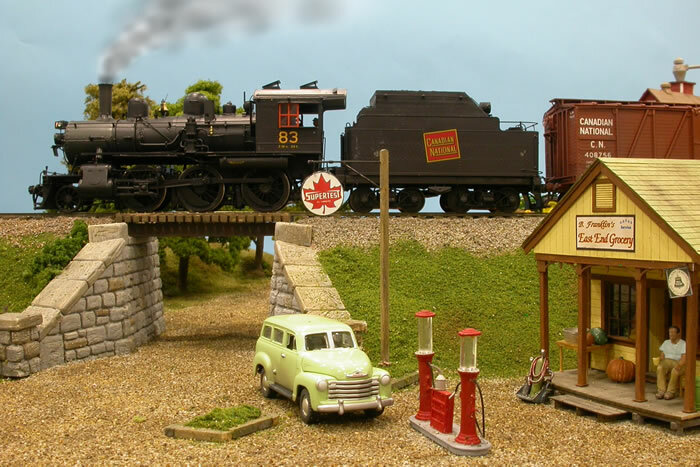 These days, S scale standard-gauge trackage products are plentiful. We have vendors who provide flextrack in various rail heights, nos. 6 and 8 turnouts, and made-to-order items like crossings, three-ways, and slip switches. That said, trackwork is my favorite thing, so I have hand-built some 67 turnouts, five crossings, one double-slip switch, and nearly all the visible track. 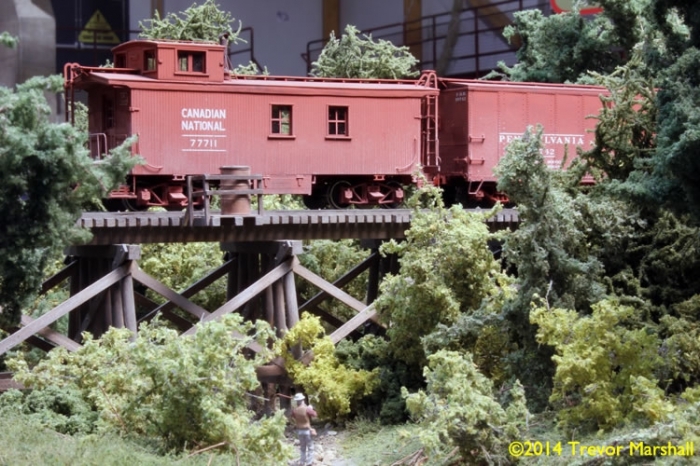 I have used commercial trackage only on the farthest tracks from view and in tunnels. Although I am somewhat saddened that I have no more track to lay, I am still getting a kick out of completing my catenary. I get my catenary spans, column bases, and rain caps from Model Memories, and I scratchbuild my catenary bridges from old .172 steel rail. It’s always a challenge to fit catenary properly over complex trackwork, but I really enjoy puzzles, so this doesn’t bother me. At this point in time my catenary is about 80 percent complete. 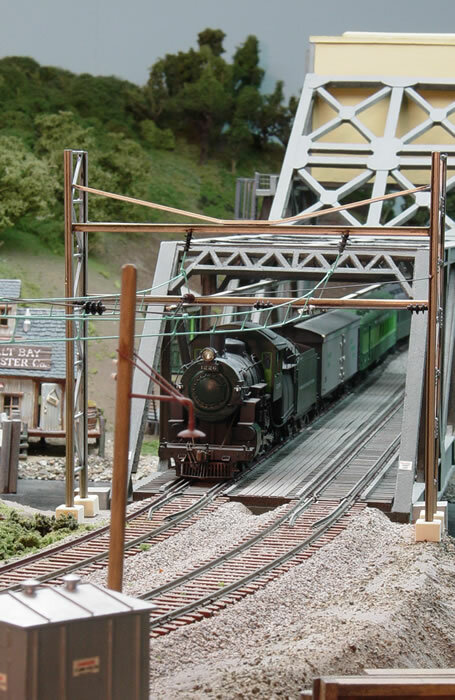 You can get a detailed look at how I build my catenary in the NMRA’s March 2009 issue of “Scale Rails” magazine (“Juice for Your Juice Jacks”). When I began building this layout, I knew I wanted walk-around control. I had experimented with wireless CTC-16 on my previous layout, but abandoned it because it was prone to cross-channel interference. 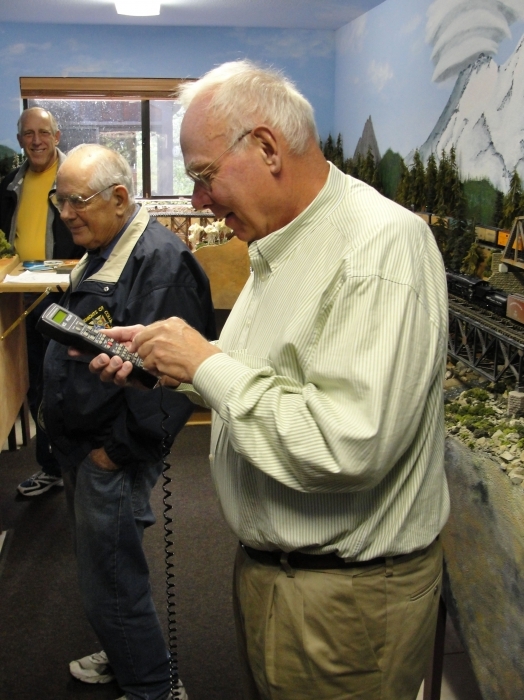 This time I opted for Aristo-Craft’s “Basic Train Engineer,” a wireless system that controls the track, not the trains. 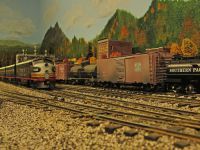 At the time, transmitter-receiver sets were available in four different frequencies, so I used two frequencies to control each of the two tracks on my double-track main line. I installed power routing all over the place, through the auxiliary contacts on my switch machines. This allowed the power to follow the train through whichever off-main route I chose. Troy Terminal, the float yard, the South Cornwall branch, and the NY&NE were separately controlled. This all worked great, at first. But as I added and activated more trackage and route alternatives, operation required the addition of several selector switches. 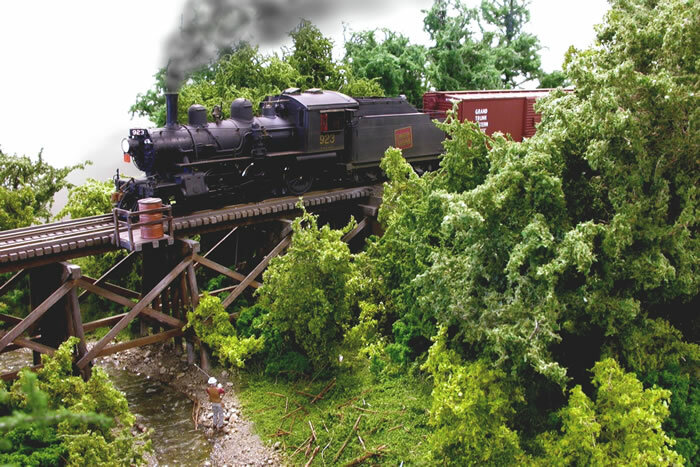 I discovered that if I didn’t operate my railroad at least a few times a week, I would forget how! Ergo, it was time to bite the bullet and convert to DCC. I plunked down major $$ for a wireless NCE DCC system, including a power supply, command station, five handheld controllers and two antennae. I also purchased an array of secondary equipment like locomotive decoders, auto-reversers, and power-district controllers. But I never could have pulled the conversion off without the help of Roger Nulton. We had to undo all the power-routing wiring, install four power buses, and hundreds of feeder drops. We had to connect everything up with power on so as to monitor for potential short circuits, easily caused by connecting feeders to the wrong bus wire. When we were finished, I had two large boxes full of scrap wire. But I have never looked back. I love it! I designed my NYW&B for operation, and it has lived up to that goal. 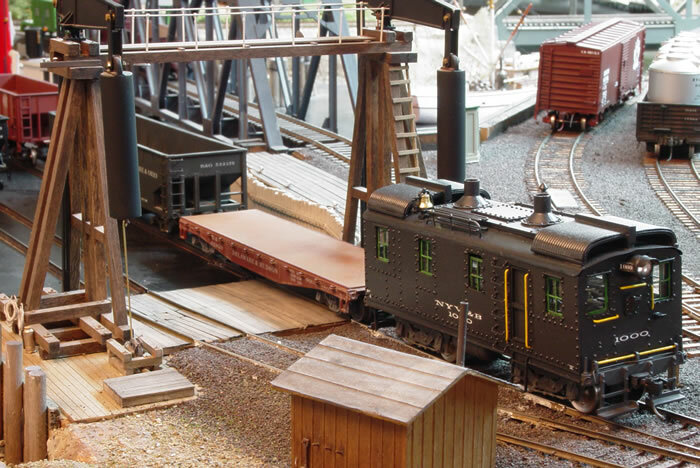 It supports way freights, local passenger trains, interchange via two staging yards as well as a car float operation, and arrival and departure of long-distance freight and passenger trains. 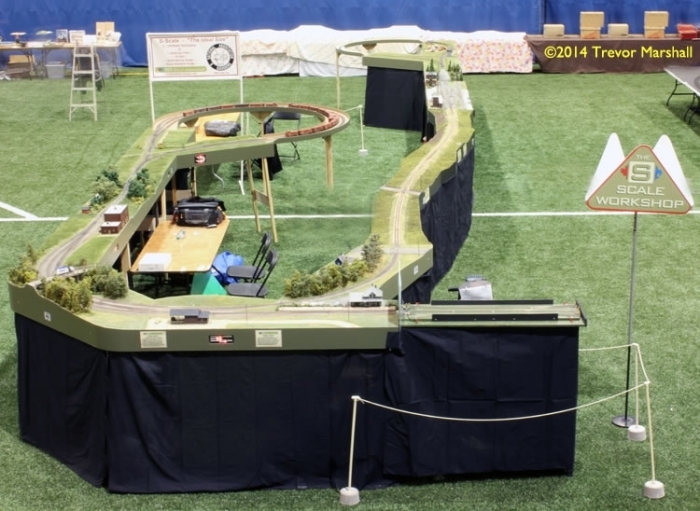 For open houses, the layout also supports continuous running with a choice of eight different trains. A relatively complex set of operations centers on the dairy industry, which was still strongly rail-oriented in the Northeast in the mid-1950s. The southbound local passenger train stops at several milk platforms along the right-of-way where dairy farmers leave cans of raw milk. 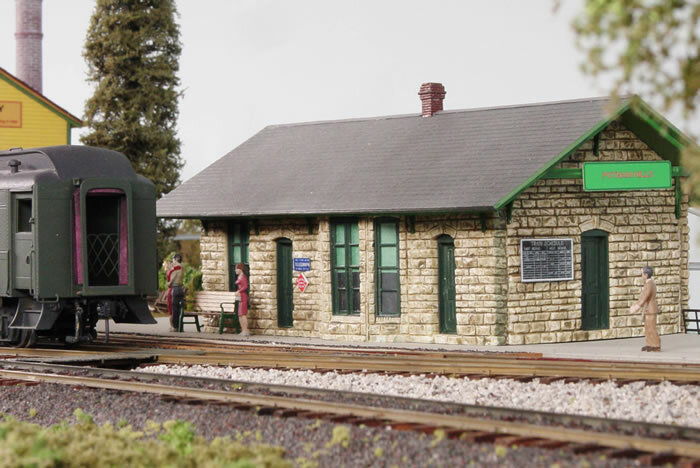 There are three such platforms actually on the layout, at Springfield Junction, North Cornwall, and South Cornwall. The cans are loaded into the train’s railway-owned milk reefer. At Putnam Hills, the milk reefer is dropped off at the Quaker Hills Creamery for processing. While there, the local picks up a dairy-company milk reefer filled with yesterday’s bottles of pasteurized milk and cream for retail trade distributors in New York City. 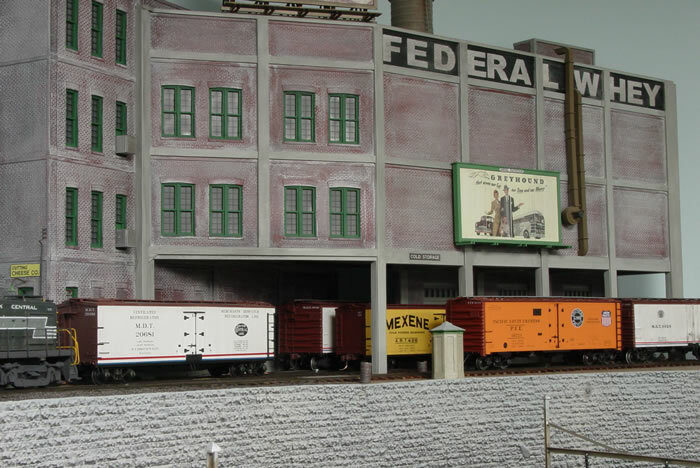 Later on, the northbound local stops at the creamery, drops off an empty dairy-company reefer, and picks up the railway-owned milk reefer, which is now loaded with empty cans to take back to the milk platforms along the route. The way freight always picks up empty freshly-iced reefers at Thompson Ice. One is dropped at the creamery for loading cheese and ice cream. Another reefer, loaded with whey, is picked up at the creamery and trundled off to the Federal Whey plant at the end of the South Cornwall branch. While there, one or two reefers loaded with whey-based products are picked up. In other words, a single produce-laden reefer in a through freight from Boston can arrive at Troy Yard, be taken in a way freight to Ilzeb Wine & Produce at North Cornwall for off-loading, then taken to Thompson Ice for re-icing, then off to the Quaker Hills Creamery at Putnam Hills for loading. If its load is dairy products, it then goes back to Troy in yet another way freight, where it is reassigned to a manifest freight to Boston or New Haven or New York City. If its load is whey, it’s taken to the Federal Whey plant for off-loading, and remains there until loaded with whey products and then taken back to Troy, then on to its destination. 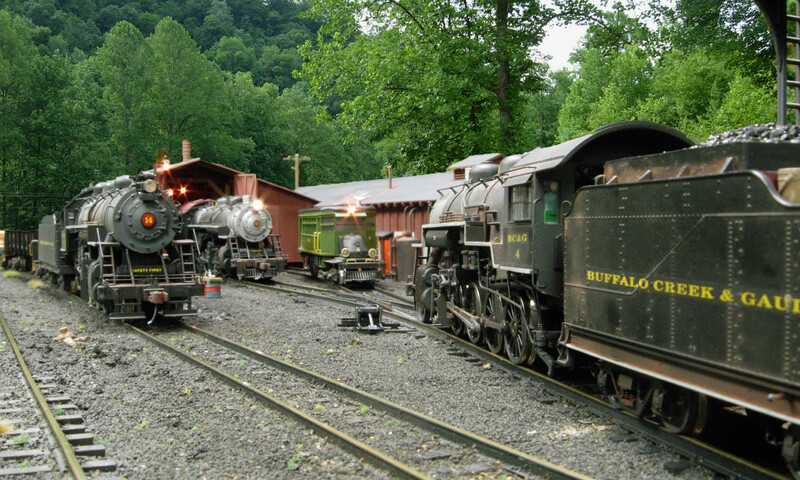 As mentioned earlier, the NYW&B’s steamers all burn anthracite coal. The anthracite, from Pennsylvania, arrives on NYW&B property via hopper cars on the Port Hudson car float. These coal loads are trundled off to Troy Yard in the twice-daily transfer freight, where two are set aside for local delivery to retailers and the rest are coupled into through freights, to be taken to coaling station sites along the routes. We run with a four-to-one fast clock, so operating sessions take around three real hours. 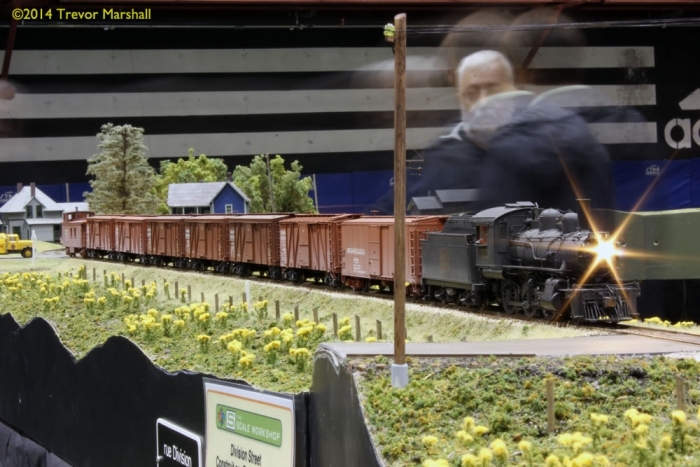 During this time, crews will have run two local passenger trains in opposite directions, stopping at milk platforms and Quaker Hills Creamery in addition to the station stops. 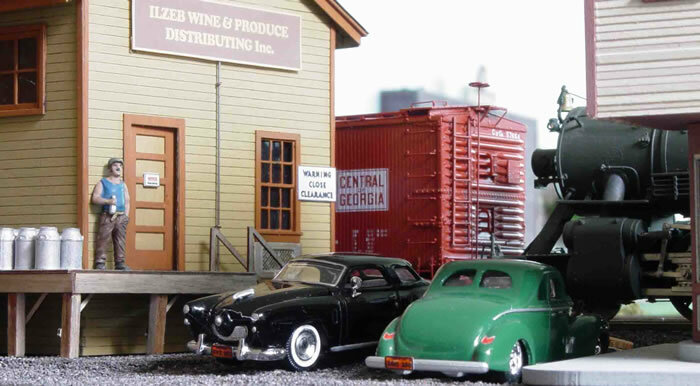 Meanwhile, the Port Hudson boxcab has offloaded several cars from the car float into the float yard, assembled them into a transfer freight, delivered them to Troy, and picked up a half-dozen cars to take back to Port Hudson. And then there are the two trains that the way freight has encountered on its rounds – the Grand Isle Limited, with CNR, NYC, and New Haven equipment, speeding off to New Haven; and a through freight bound from Troy to New York City. Today’s S scale is better than ever. Despite my eclectic motive power preferences, and my lengthy history that includes being at the right place and time to acquire what I wanted, there’s a large variety of currently-available ready-to-run plastic and brass equipment, trackage products, and structure kits that make it easy to do a lot in S. There’s also a lot of stuff in people’s shelves and drawers that they’ll never get to. So it pays to develop a network for trading/selling/buying purposes. Most of what I have is based on products that are currently produced or can still be found. To this end, the photo captions highlight the sources of the items in the scenes. This article first appeared in issue 45 of the “Layout Design Journal” the publication of the Layout Design Special Interest Group, Inc. 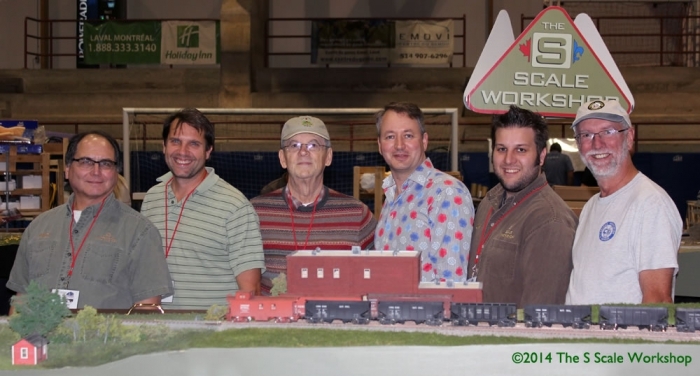 The S Scale SIG would like to thank the LDSIG for permission to reprint this article. Learn more about the LDSIG at www.ldsig.org. I’m relatively new to S scale, having started my first layout in 1:64 in October of 2011. My conversion to S actually started several months prior to that as I considered what prototype I could model in S scale and what would fit in my layout room. 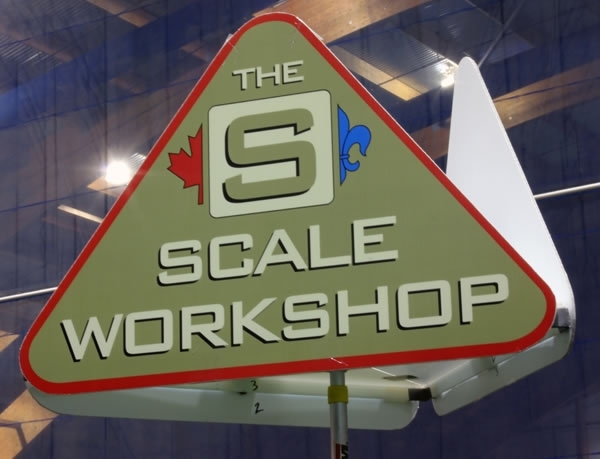 Rather than write a feature on switching to S for an S-specific site such as this one, I thought it more valuable to share my experiences with a broader audience – one comprised of modelers working in a range of scales and gauges. So I penned a piece for the Layout Design Journal – the excellent quarterly publication from the Layout Design Special Interest Group (www.ldsig.org). This appeared in issue #45 – the Winter 2012 edition. I have to admit that I took an unusual route into S scale. I had several friends working in S but until about a year ago, I hadn’t considered it as the scale for me. As the LDJ feature explains, instead of deciding, “I’m going to work in S” and then figuring out what I could do in it, I asked myself, “What do I want out of a layout – and what’s available, product-wise, to make it happen?” All scales and gauges were on the table – but I found that S standard gauge would provide the best combination of models big enough to appreciate detailing efforts yet small enough to fit an interesting layout into a relatively modest space. I also found the social aspects of working in S to be second to none and I’m grateful to have such a fantastic group of friends in my area who also work in 1:64. 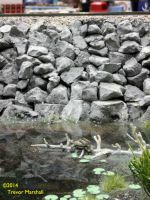 Shortly after the feature was published, a comment on an S scale newsgroup made me realize those looking at S as a potential modeling scale might find my experience valuable. So I contacted the Journal’s editor, Byron Henderson, and secured permission to share the article on the S Scale SIG website. You’ll find it here as a PDF. If you’re not a member of the LDSIG, I encourage you to join. I find it great value for the money and the Journal is a tremendous magazine. Membership information is included at the end of the PDF. 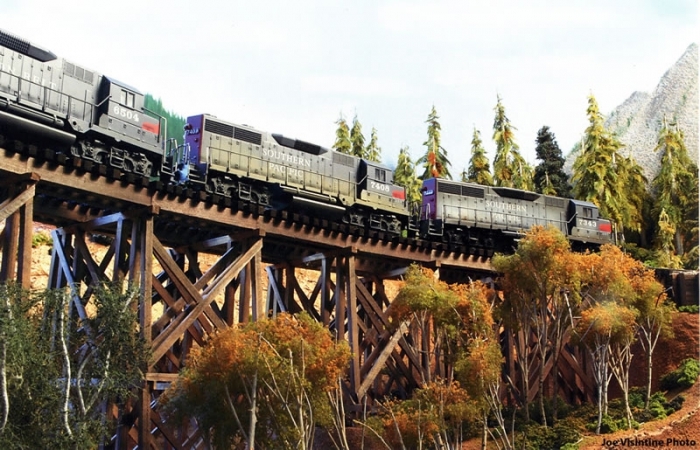 If you’re considering the switch to S scale, I hope you find this feature informative and encourage you conduct an exercise similar to what I’ve outlined. 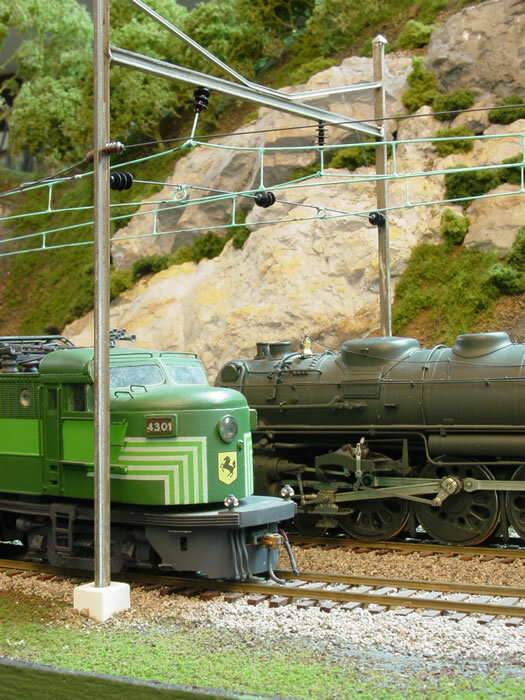 There are cogent reasons to consider a switch to S scale. If you are in a larger scale and face downsizing your living quarters, S may be for you. If you’re in HO or N, are getting older, and your eyesight isn’t what it used to be, S may be for you. Mike’s story combines both of these. Mike, forty-ish, switched three years ago. 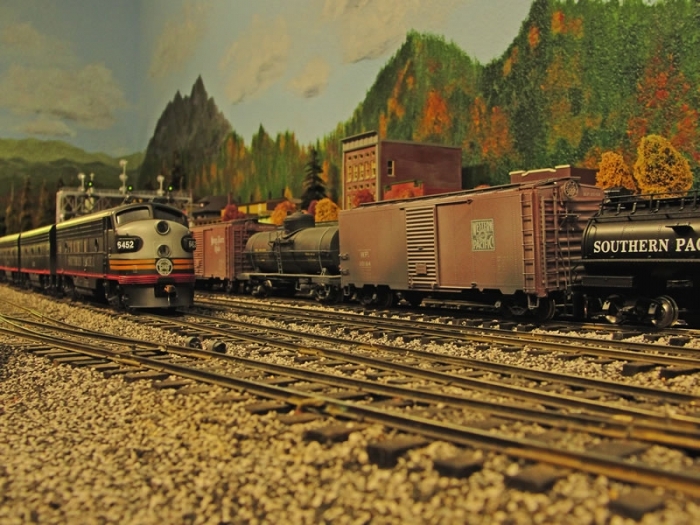 He was an O scale NYC fan who wanted two trainsets of the Central’s Southwestern Limited passenger train, a five-car Budd consist as it crosses the Midwest. He began to realize there was no way he could plausibly do this in the limited space he has, so he thought “I need to switch to HO.” But, being a practical man, he projected ahead another 20 years: “I’d have to switch scales again as my eyesight degrades.” Bob McCarthy’s streamlined passenger-car kits marketed under “The Supply Car” brand, pushed Mike over the edge. Bob McCarthy’s cars can be furnished with Budd, Pullman, and ACF car sides in any prototype window configuration at no extra charge. Can’t find the one you want in Bob’s listing? Send him a plan and it’ll get made. I did that for the 1938 20th Century Limited observation car, and I got exactly what I wanted. Shown are some of the components in a typical Supply Car passenger-car kit. This particular car is a diner from the NYC’s 1938 20th Century Limited. Shown above are the two sides against a core body, floor below, and some of the underbody details at the bottom. Roof details also come with the kit. The Supply Car will soon have full-width diaphragm kits to go with these. Commonwealth 43-R triple-bolster roller-bearing trucks were standard on most 1938 20th Century cars, although the Century’s diners and RPO had six-wheel trucks. The 43-R roller-bearing trucks (shown from a 1938 Commonwealth ad) and similar SP-43 plain-bearing trucks are now a committed River Raisin Models project.